I had all sorts of plans for posting last night and then I saw the news. All of the channels showed a continuous loop of footage – first the bombs at the finish line and then the blood, the pain and confusion, the chaos. Everyone I have talked to in the last 24 hours or so has asked why? how? I am sure that when we learn who did this and what their reasons were it will not make any more sense to us than it does now. The millions and millions of viewers last night could not do anything from their living rooms except watch in horror and pray for the injured, the shocked, the dead. We can simply pray that our leaders find the responsible parties and bring them down. 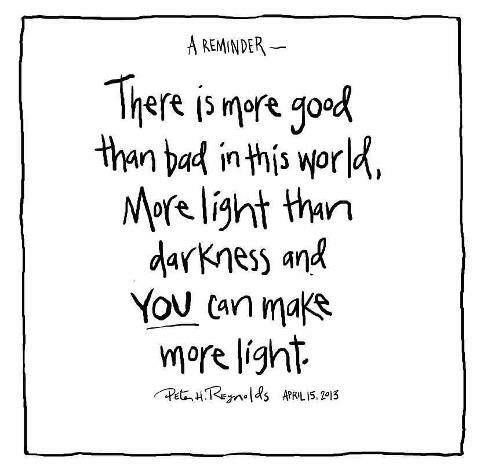 We couldn’t help lift the debris off of the victims, but we can help the state of the world by remembering that despite all evidence to the contrary that flashes daily across our news channels, there is more good in this world, than evil. We can carry that good along in our hearts and let it touch those around us. We can bring love and healing to the world. Only through that will the hatred and evil be abolished. Just keep thinking about the good in the world, Vikki. It is the only way to get to the other side. If you don’t, the darkness wins.